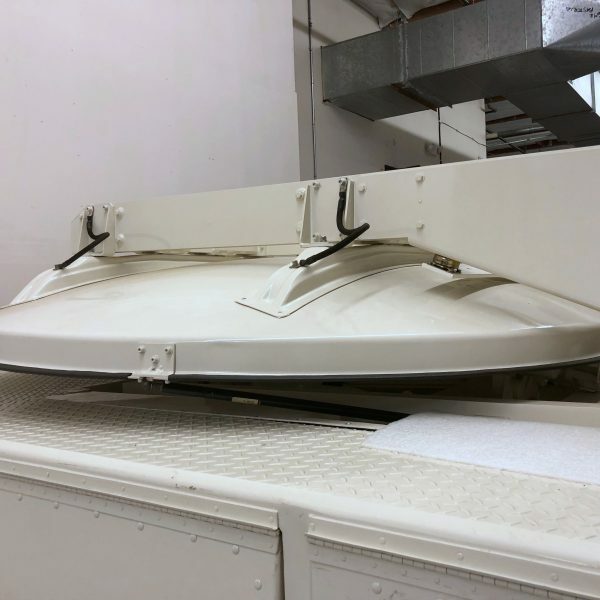 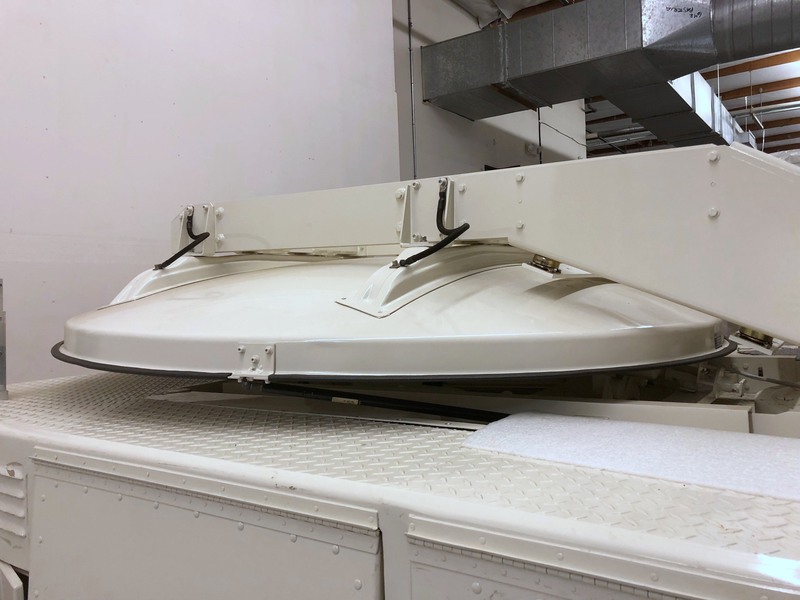 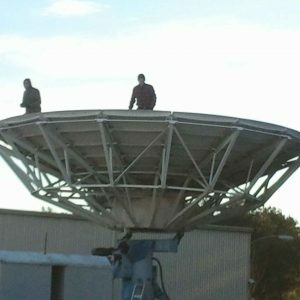 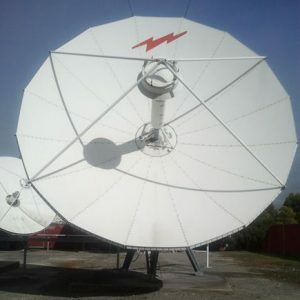 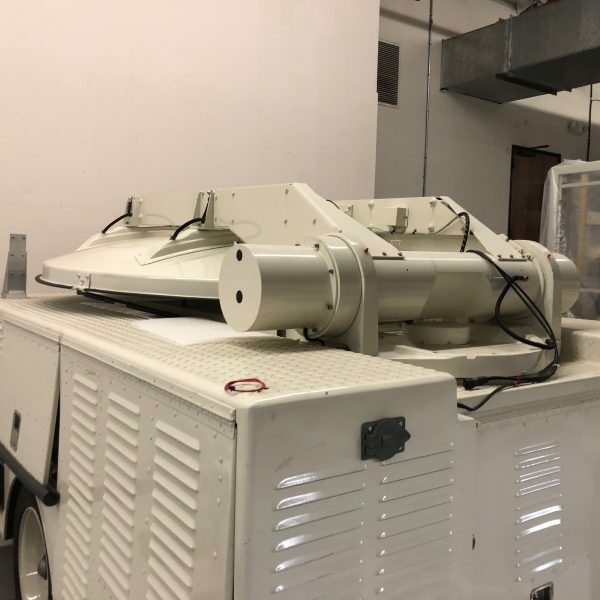 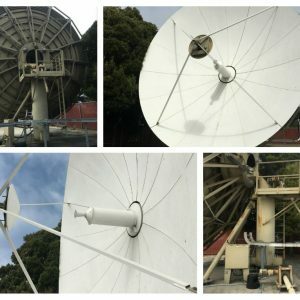 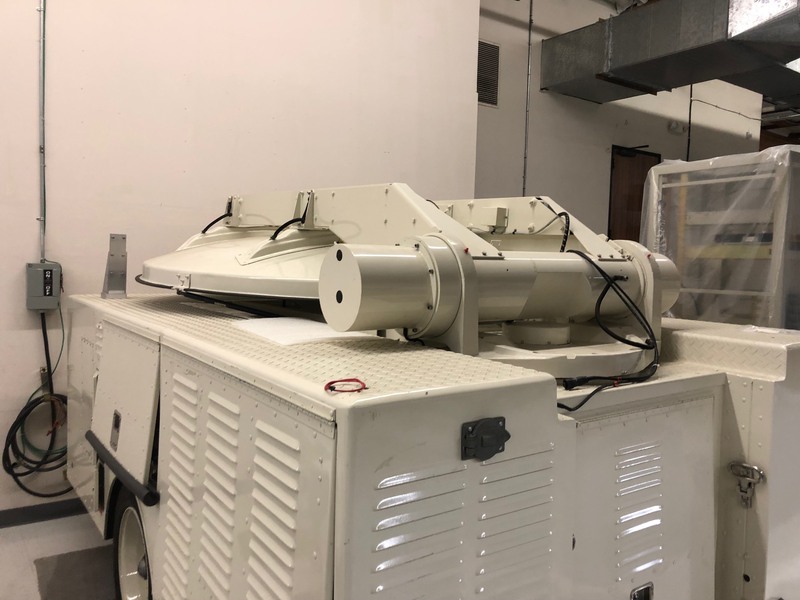 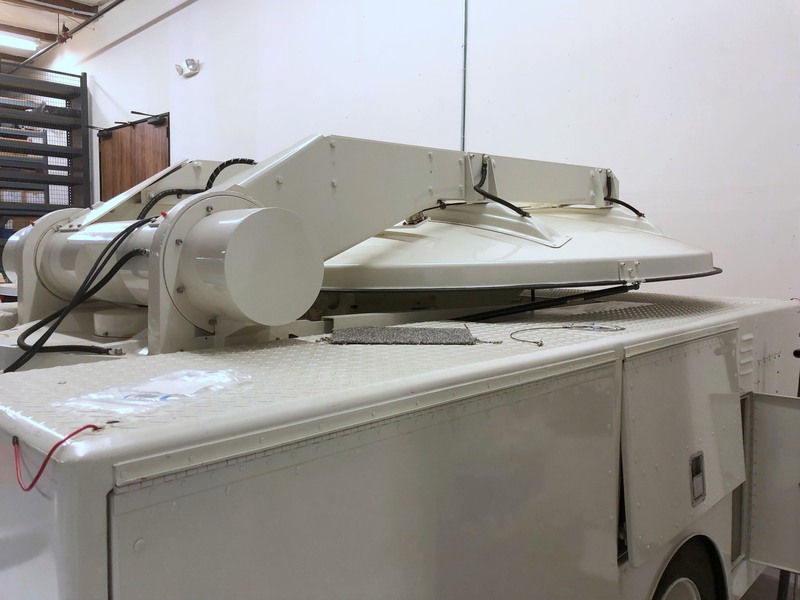 The system consists of Auto Deploy Vertex RSI model 180DKVO 1.8m Ku-band dual reflector offset feed antenna and linear 2-port R/T feed mounted on a customized heavy duty communications trailer. 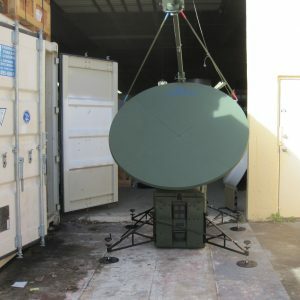 The system has never been used or registered and has always been stored in a clean environmentally controlled warehouse. 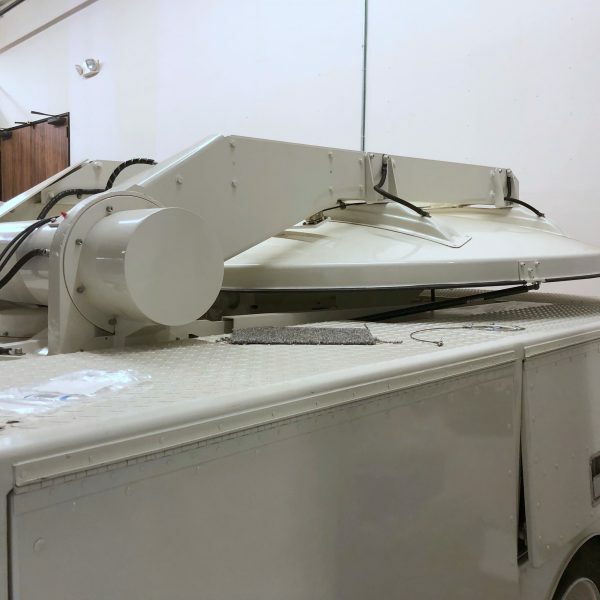 Collapsible Feed Support Boom Assm.